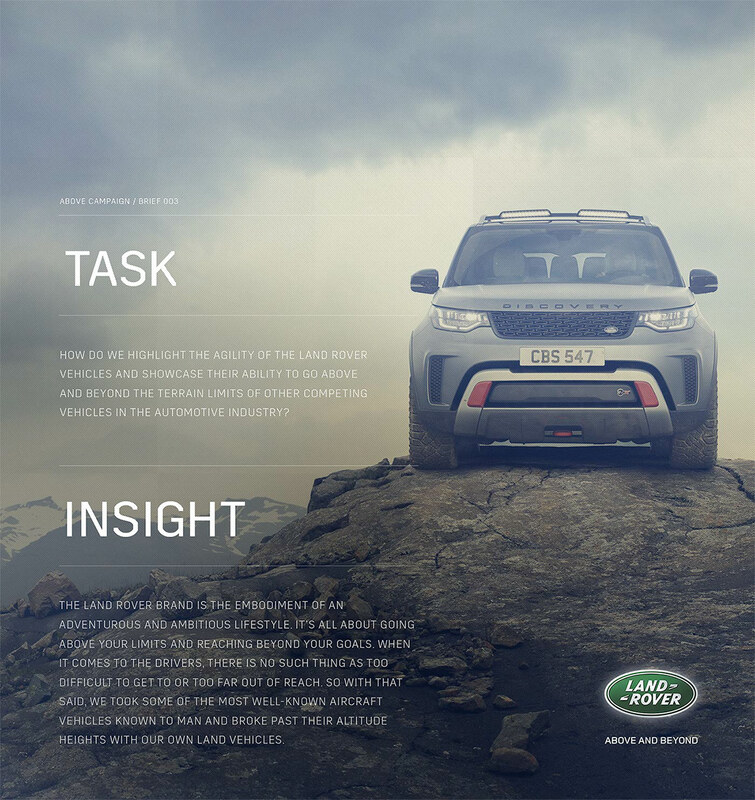 How do we highlight the agility of the Land Rover vehicles and showcase their ability to go above and beyond the terrain limits of other competing vehicles in the automotive industry? 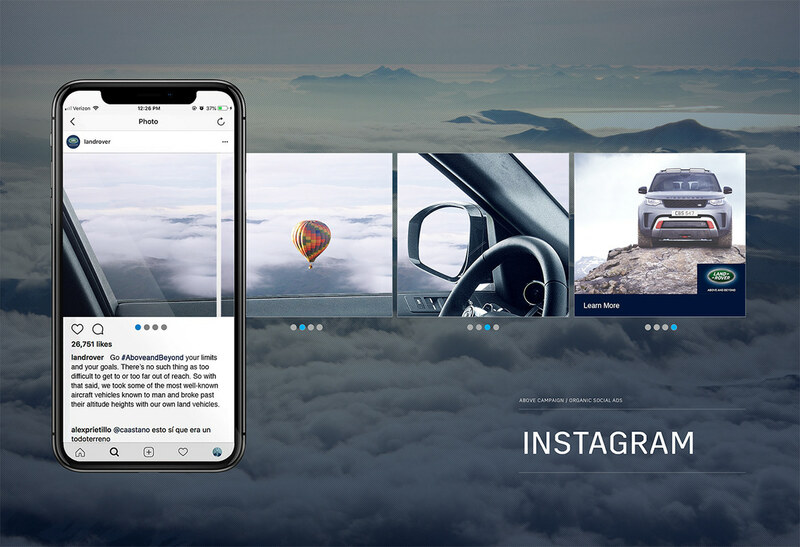 The Land Rover brand is the embodiment of an adventurous and ambitious lifestyle. 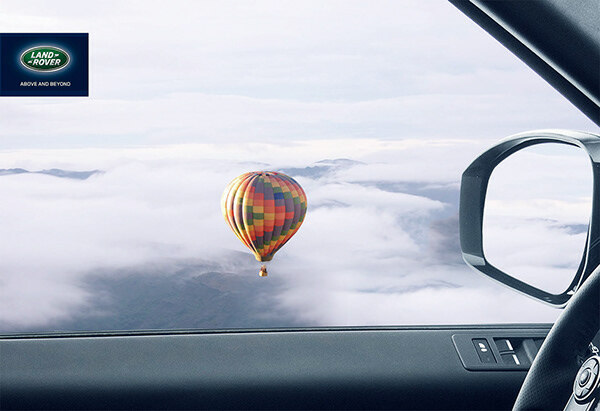 It’s all about going above your limits and reaching beyond your goals. 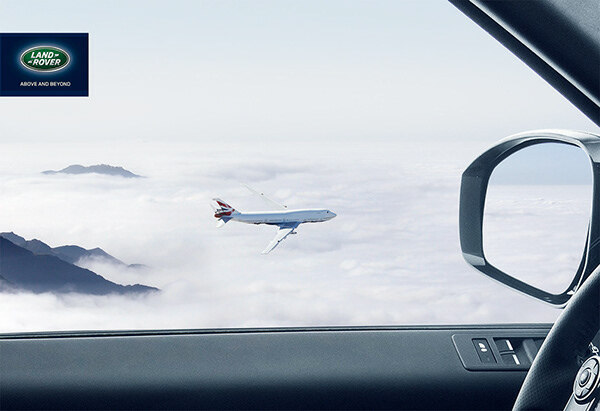 When it comes to the drivers, there is no such thing as too difficult to get to or too far out of reach. So with that said, we took some of the most well-known aircraft vehicles known to man and broke past their altitude heights with our own land vehicles. 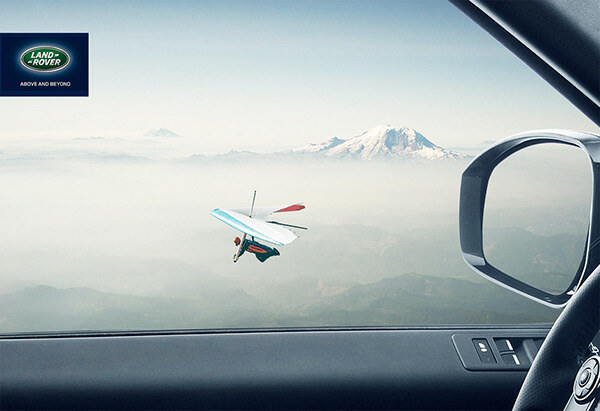 Land Rover print advertising campaign series highlighting the ability of it’s vehicles to reach heights above that of flying objects such as airplanes and hot air balloons.